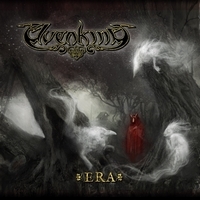 Italian outfit Elvenking is back with Era, their 7th album. They kick off with The Loser and soon it becomes obvious that they stick to folk-ish melodic power metal. At I Am The Monster the unique voice of Jon Oliva can be heard, since Elvenking supported Jon Oliva's Pain the Mountain King is giving the Italians a helping hand. The unusual duo works well together - and Mr. Oliva give the song the certain something. Don't get me wrong, Elvenking know very well how to write songs and have the craftsmanship, but sometimes it needs some guests to ennoble a song. A Song For The People represents their folk rock roots and it's giving the violin more space - even if at other songs guitars and violin are having equal rights. With We, Animals the powerful sounds are back. It's a quite catchy tune with big backings. At Through Wolf's Eyes it's the melancholy violin which hooks you up. At the ballad Forget-Me-Not Elvenking get joined once more by Jon Oliva, but not everybody will be pleased by the ballad... It might be too cheese for some. Towards the end they speed up for a moment and the bombastic keyboard in combination with the guitars gives it a Savatage-sque sound - as well as the counterpart vocals. A true folk rock tune is The Time Of Your Life, again the violin takes over the lead while the guitars stay in the background - and on top of it Damna's vocals. Let them enchant you! With the instrumental Ophale they slowly fade out Era. If you don't like violin sounds, then Elvenking won't please you, but if you are open-minded, give Era a try! The latest album from Italy's Elvenking opens with a short spoken intro that launches into a catchy riff. All well and good and precisely what you'd hope for and expect really. For me Elvenking is that band I always think I like more than I actually do, so I was quite excited when I heard of the new album as hopes of another Winter Wake or Heathenreel passed through my mind even those two albums are rarely in my play list! Well, this is certainly Elvenking back to doing what you'd expect. Melodic metal with folk influences are on show throughout the album so fans who hated The Scythe and the acoustic Two Tragedy Poets (...And A Caravan Of Weird Figures) will be rejoicing in the streets come release day. However, as is the case with every album I've heard from this power folk sextet the catchiness of the music is in stark contrast to Damnagoras' awfully weak vocals. I find absolutely nothing appealing about his voice whatsoever. Whenever the music on this album goes up a notch Damnagoras is there to drag it back down. Sorry guys, the voice has the same effect on me as fingernails being drawn across a blackboard, the dentist's drill and babies crying! As stated above, if you're a fan of Elvenking's pre The Scythe albums then you'll enjoy this. Its not the greatest fusion of heavy / power metal and folk music I've ever heard though. Overall its pretty forgettable. Yes, its fairly decent while it lasts, but there's nothing about it that makes you want to listen to it again. Such a shame as they're obviously good musicians and in places their skill shines through. When all is said and done I can only really recommend this to die-hard Elvenking fans. 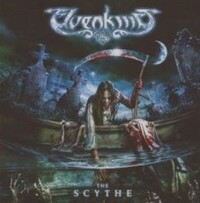 In their 10th year the Italian epic power metal band Elvenking presents their 4th album - The Scythe. Their debut Heathenreel was released in 2001 and already showed their mixture of power metal with epic parts and a violin adding some folk feeling. With spoken words they start into the title track The Scythe, but then the band sets in with power and heavy riffs. The violin of Elyghane adds a folk-ish touch. A up-tempo tune with catchy vocals, more spoken words and a sing-along chorus. Also Lost Hill Of Memories has spoken words as a lead-in, but the song is different... Heavy riffs and almost 80's pop-like keyboard lines. Damna's vocals are varying... From soft words to powerful shouts and deep growls. And somehow the song has a touch of Gamma Ray... With Infection they cross boarders to melodic death'n'roll... Parts sound a bit like Children Of Bodom, but then it get's more melodic power metal and the violin distance them even more from the Finnish. Some keyboard lines remind me of Paradise Lost, but all this are just pieces of it and can't describe the sound. An interesting mixture which let you think of one or the other band, but actually they create their own sound out of the ingredients. Romance And Wrath is dark and melancholy, but caries a spark of hope... The violin is adding a sad note. But there are different atmospheres... Some parts sound mean, others fragile... And then they get some bombastic sound. This song shows a large variety and in a way the musical world of Elvenking. With The Divided Heart they created an intriguing tune with a gothic touch and a powerful chorus. An ear catcher! With Death And The Suffering they kinda explode and present fast double-bass drumming and thrashy riffs. And again Damna shows his range of vocal styles. To be honest I haven't expect something like this, but only as this album haven't showed this facet on this album before. I recommend: Romance And Wrath, The Divided Heart and Death And The Suffering. Elvenking show that it's possible to create new sounds with the known ingredients. And that not every band from Italy plays symphonic melodic speed metal. Another release of the small but ambitious German label AFM Records. 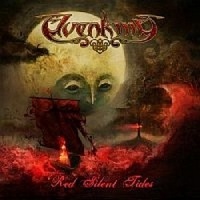 This time they present a Italian band, but Elvenking are no copycats of Rhapsody or Labÿrinth! The quintet play melodic speed metal mixed with folk and progressive elements. Surely they are influenced by Skyclad, but added something which gives them a different sound which you have to check out yourself! I can't compare them to any other of this so-called folk metal bands... The Italians haven't invented a new style, but doesn't really fit in a specific genre! The Dweller Of Rhymes is one of the faster tracks which is followed by The Regality Dance which starts slowly and features the voice of singer Damnagoras. A beautiful track, very atmospheric which also offers some growls when it gets faster. At Oakenshield they added a female voice which sings the kind of opera style everybody knows from Nightwish. Luckily AFM Records philosophy is to release quality, not quantity and so the band had the chance to record at New Sin studios with Frederick Nordström (known for his work with In Flames, Hammerfall & Dark Tranquillity). The cover artwork is done by Travis Smith who is known for his work with Nevermore! First folk elements of their Scandinavian homeland Elvenking present before Pagan Purity is coming out of the speakers. 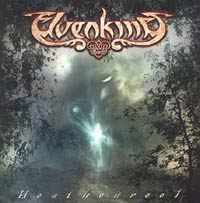 Elvenking are presenting on their debut Heathenreel a mixture of Falconer, Vintersorg and traditional metal. The voice of singer Damnagoras needs time to get used to, then you can enjoy their compositions. The voice is which makes to love or hate the album, - the same old story - it's a matter of taste. I had my problems... The Dweller Of Rhymes starts with sweet female vocals, then the mean refrain hits you straight. All based on folk riffing, well done! Anyway, Heathenreel has some good ideas and some need time to get discovered, but at all this isn't arranged good enough to make you "Wow!" Also it lacks some real highlights. A pity!